Exclusive: The War on Drugs on Blooming Late and Finding a "Deeper Understanding"
On the eve of their new album, Adam Granduciel and Co. take stock of a new major-label recording career. 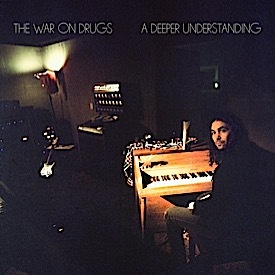 Shortly after The War On Drugs signed with Atlantic Records and began work on their major-label debut, A Deeper Understanding, the album’s engineer, Shawn Everett, took a moment to point something out to bassist and founding member David Hartley: By the standards of the contemporary music industry, the band may as well have been working on recording a unicorn. In an age when new artists pray they can go viral with their internet hustle, The War on Drugs’ slow-burn approach seems practically anachronistic. But there’s always been something to their refracted, waved-out take on classic rock that marked them as a band just outside of time. Still, even though The War on Drugs in many ways feel like they’re not quite of this age, frontman Adam Granduciel always has his eyes on the clock. Read Paste’s review of A Deeper Understanding. The Europe trip was the first time he’s seen the full weight of what a major label can do for a band’s visibility (Atlantic is owned by Warner Music Group). He appreciates that and all, but the thing he seems to value most about a major label is that it keeps him on task. While working on the band’s breakthrough 2014 album, Lost in the Dream, Granduciel’s obsessive sonic tinkering caused him to miss the deadline for handing the album in to his then-label, Secretly Canadian, by more than a year. He knew that wouldn’t fly with the new guys. Anthony LaMarca, Dave Hartley, Robbie Bennett, Jon Natchez, Charlie Hall and Adam Granduciel of The War on Drugs. With its shimmering guitar sheen and Dylan-esque narrative flourishes, Lost in the Dream marked the cohesion of Granduciel’s songwriting and production chops with the band’s road-tested muscle. Granduciel wanted to keep the momentum going, so he booked time at studios while on tour to record demos and went about “stockpiling” ideas for songs. If having a deadline to keep him on track was one of the perks of signing to a major label, constant access to a studio was another. Granduciel, who is 38, decamped to Los Angeles to record the majority of the album. (L.A.’s not for him, by the way. 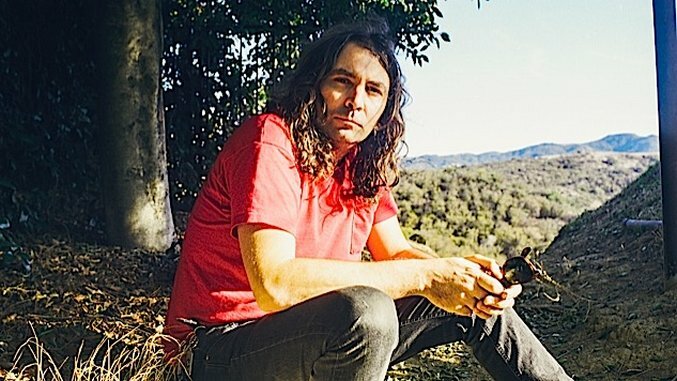 “There’s so many great things, but I’m not really, like, a guy who’s going to go to the beach all the time or go hiking.”) For previous War on Drugs albums, like 2011’s Slave Ambient and their 2008 debut, Wagonwheel Blues, Granduciel would recruit whichever of his friends were available at the time—or whoever he thought could nail a particular song—to tour or record, and for a while that often included his friend Kurt Vile. But after playing what Hartley estimates was more than 275 shows in support of Lost in the Dream, the group—which now includes keyboardist Robbie Bennett, drummer Charlie Hall and multi-instrumentalists Anthony LaMarca and Jon Natchez—cohered into a stable six-man unit. And though Granduciel still brought in outside musicians and recorded plenty by himself, this is the most band-driven album The War On Drugs have ever made. To accomplish this, the very laid-back-sounding bandleader had to become a taskmaster. Granduciel onstage at Coachella in 2014. At this point, The War on Drugs have been around long enough that they’ve gotten most of the rock ‘n’ roll debauchery out of their system, Granduciel says, and they’re just focused on the work. That’s just one of the many benefits of being a late bloomer.